Editor’s Note: This is a genius, yet simple idea that should be replicated all over Africa. Tech entrepreneurs all over the continent must join forces to help ease hunger as the government cannot do it alone. Growing up Oscar Ekponimo was familiar with hunger. After his father had a partial stroke, he was temporarily ill and unable to work, leaving the family struggling to make ends meet. Fast forward to 2017 and Ekponimo, now a software engineer, is doing exactly that through his web app Chowberry. 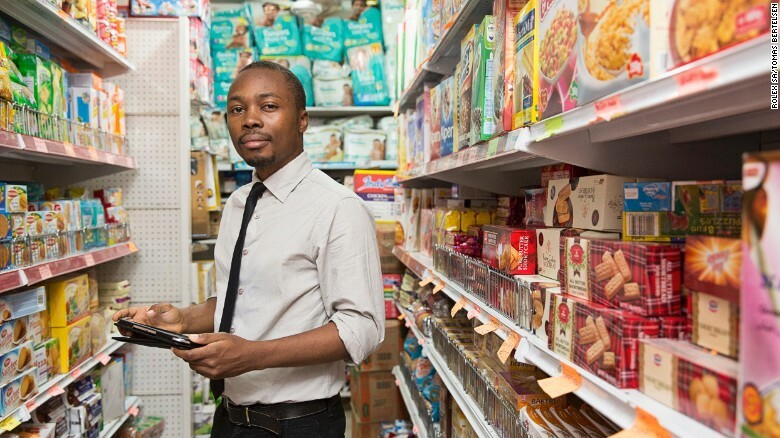 The app connects supermarkets to NGOs and low-income earners, allowing them to buy food that’s about to expire at a discount. Ekponimo says the response to the project has been encouraging and he’s been able to see first hand how it’s transforming lives. A three-month pilot involving 20 retailers reached about 300 people in Lagos and Abuja, feeding 150 orphans and children at risk. He is hopeful that more national retailers will join the scheme as demand for the service continues to grow in the face of Nigeria’s recession. Hunger and food insecurity are problems still plaguing the continent. The UN Food and Agriculture Organization estimates that 223 million people in sub-Saharan Africa were hungry or undernourished in 2014-2016, the second largest number of hungry people in the world. According to the World Food Programme, Nigeria is a ‘food deficit’ country, meaning that it cannot provide enough food for its population. Widespread poverty, inflation and insecurity have been cited as contributing factors to Nigeria’s hunger problem. Last year, the UN revealed 14 million in the northeast of the country need urgent humanitarian assistance because of the ongoing Boko Haram conflict and warned that 75,000 children could starve to death in months. Last year, Ekponimo won a Rolex Award for Enterprise for his work and has hopes to expand. Ghana joins Eritrea, Guinea, and Sierra Leone on US Visa sanctions list.